Rotate secrets safely. 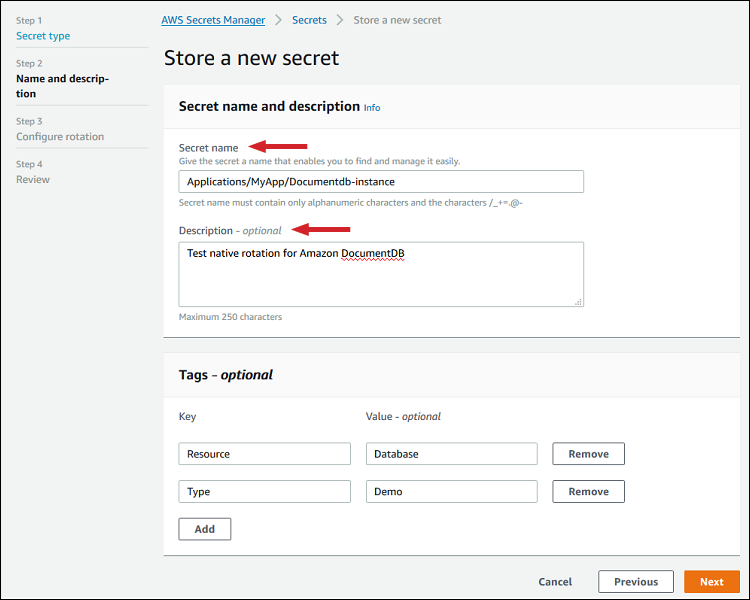 You can configure Secrets Manager to rotate secrets automatically without disrupting your applications, turning long-term secrets into temporary secrets. 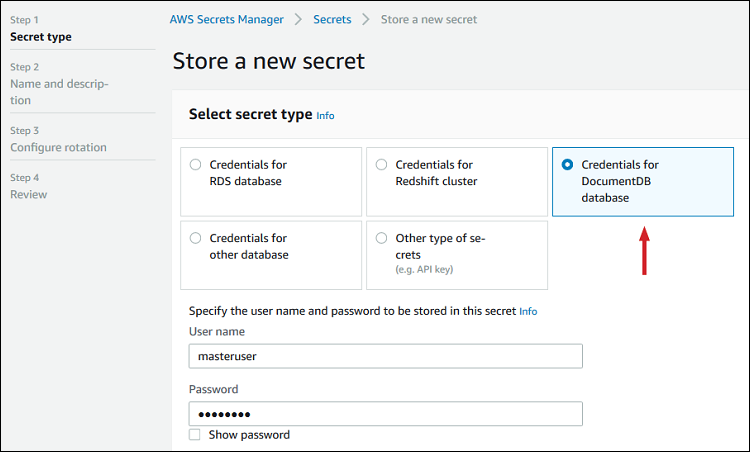 Secrets Manager natively supports rotating secrets for all Amazon database services — Amazon RDS, Amazon DocumentDB, and Amazon Redshift — that require a user name and password. 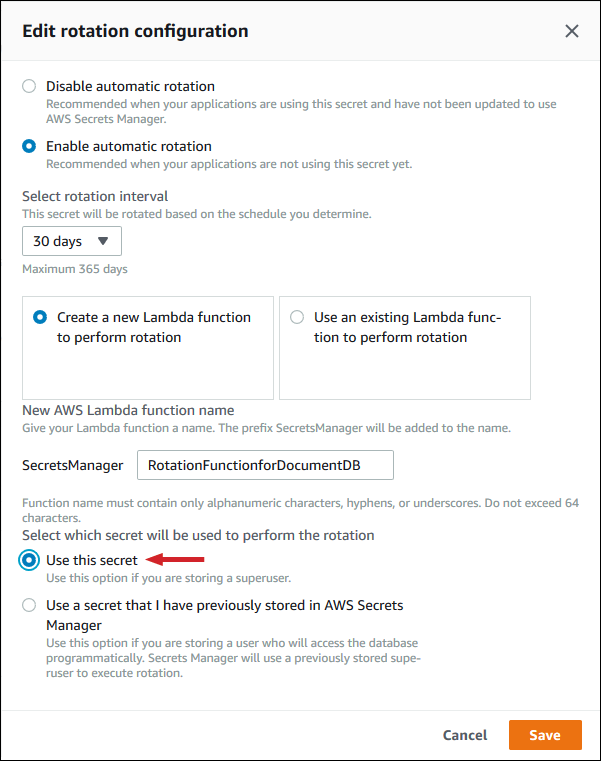 You can extend Secrets Manager to meet your custom rotation requirements by creating an AWS Lambda function to rotate other types of secrets. Audit and monitor secrets centrally. Secrets Manager integrates with AWS logging and monitoring services to enable you to meet your security and compliance requirements. 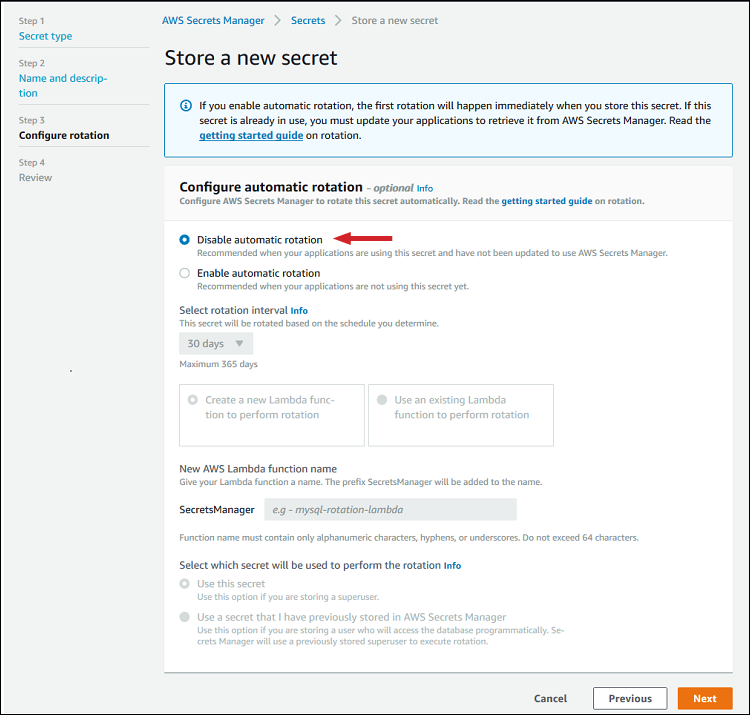 For example, you can audit AWS CloudTrail logs to see when Secrets Manager rotated a secret or configure AWS CloudWatch Events to alert you when an administrator deletes a secret. In this step, specify values for Secret Name and Description. 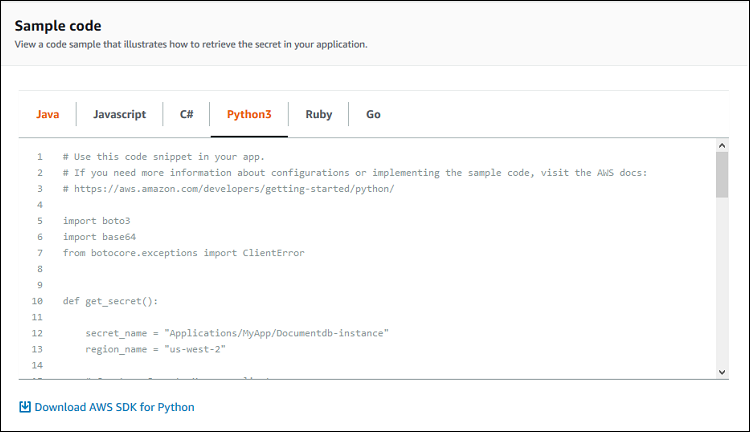 Based on where you will use this secret, give it a hierarchical name, such as Applications/MyApp/Documentdb-instance, and then select Next. 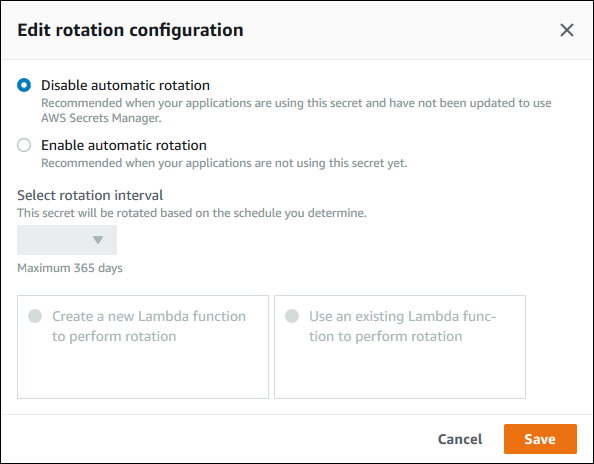 Note: If you’re storing a secret that you’re not using in your application, select Enable automatic rotation. 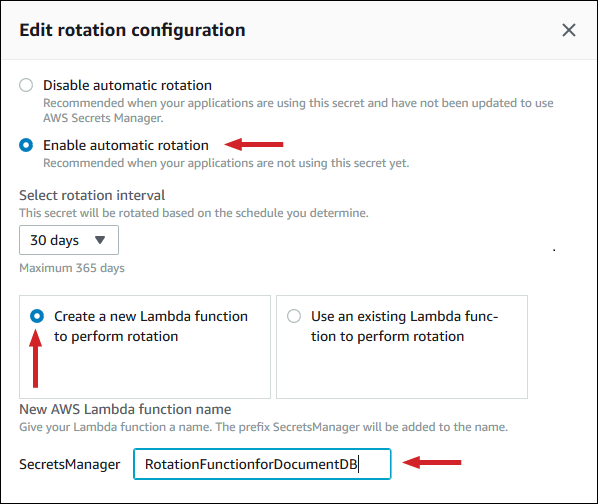 See AWS Secrets Manager getting started guide on rotation for details.